Alcohol abuse is becoming and more and more prevalent across the United States. The problem is that some people can’t recognize the warning signs of alcohol addiction in either a loved one or even themselves. Additionally, some signs are easy to recognize while others can be more difficult. Some alcohol abusers are also very good at hiding their addiction by drinking privately and only drinking in isolation when no one else is watching. While some signs of addictions in heavy drinkers can be easy to identify, those who only drink mildly might not display any significant signs of substance abuse but it could still be a problem. Either way, alcohol abuse can turn dangerous very quickly and should not be an issue that is taken lightly. As soon as you recognize any signs of potential alcohol abuse, it is recommended that you get your loved one the necessary help from an Alcohol Rehab in Texas. Inpatient Alcohol Centers in Texas have qualified staff and proven programs that can assist in overcoming substance abuse before it’s too late. The key to recognizing alcohol addiction is to know what you are looking for. Once alcohol begins to affect any aspect of life in a negative way, it is called alcohol use disorder, or AUD. Here are some common signs and symptoms to look for if you suspect possible alcohol use disorder. Irritability and unexplained mood swings are a common sign of alcohol abuse. Those with a possible drinking problem that they are trying to hide may make excuses or try to say that they only drink once in a while to relax or wind down after a stressful day. When alcohol becomes a primary focus, so much so that it seems to take precedence over work duties or other responsibilities, this is a sure sign of alcohol abuse. Those with an alcohol problem will often try to hide it by either frequently changing the groups they hang out with in order to avoid detection or simply isolate themselves and choose to drink along to hide their problems. If a loved one has suddenly become distant from family or friends, it could be because of a possible alcohol addiction problem they are trying to hide. Frequent hangovers, even when no drinking or even severe instances of total blackout and being unable to recall previous events are signs that there is a problem that needs to be addressed. Alcohol rehabs in Dallas, Texas are prepared to work alongside those with an alcohol problem to address the issue and seek treatment to break free from the cycle of addiction. If you or someone you love displays signs of addiction, Alcohol Rehab in Texas has beneficial programs designed to help those with alcohol use disorder. A primary reason to seek treatment from Inpatient Alcohol Rehabs in Texas is the fact that alcoholism is a potentially dangerous disease that could cut your life short if not addressed. Alcohol addiction can affect both your personal and professional life. When drinking becomes of utmost importance in your life, you may shirk your job responsibilities, causing you to lose your income. Additionally, some with alcohol use disorder might not be ready to confess or admit their issues. This will cause them to blame others for their problems, causing tension among family and friends, even up to the point of driving away important relationships. Refusing to seek treatment from an Alcohol Rehab in Texas can also eventually lead to a dangerous health concern. Alcohol abuse is linked to cardiovascular disease, liver disease, dementia, depression and anxiety, high blood pressure, or even seizures. These health risks can cause severe, irreversible damage if a drinking problem is not dealt with. There’s no more time for excuses as waiting too long can lead to irreparable damage both to your relationships and to your health. Get help from Inpatient Alcohol Centers in Texas before it’s too late. Because alcoholism is such a difficult and dangerous disease, it is recommended that those with an alcohol use disorder seek treatment from qualified professionals in specialized Alcohol Rehabs in Texas. The withdrawal process can be potentially life-threatening and is best done under the care of medical professionals at Inpatient Alcohol & Drug Rehab Centers in Texas. Attempting to detox from alcohol on your own could have painful and life-threatening consequences. Recovery programs have a team of experts on staff who have helped thousands of people walk through the recovery process and find freedom from addiction. They will help you set achievable goals, find support systems such as Alcoholics Anonymous, or set up appointments with qualified alcohol abuse counselors. These professionals are prepared to guide you throughout your recovery process so that you can begin a path to sobriety and find success with the necessary help. It’s not just adults that are suffering from alcohol addiction. In society today, the pressures for adolescent drinking for the purpose of fitting in can lead to adolescent alcohol abuse as well. Teenagers’ brains are still in a developmental stage. Thus, alcoholism affects them differently than it does adults whose brains are fully developed. It is important to warn teenagers of the risks and complications of underage drinking so they can fully understand the implications of their decisions before they make poor choices. Underage drinking begins because of a variety of reason such as peer pressure, the need to fit in, or the desire to have adolescent fun, but soon the reality of adolescent drinking will set in. Teenagers also face difficult situations in adolescence and may begin drinking for the same reason as adults, to escape reality. It gives them a chance to unwind and becomes a hobby of sorts that will take their mind off whatever difficult or stressful situation they are facing. Additionally, teenagers are known to push the limits and experiment. This also including drinking. Sometimes, an alcohol addiction occurs simply because teenagers want to see what it feels like. Advertisements make it seem like a fun and carefree pastime, but sadly, it can quickly spiral out of control. Another main contributing factor to adolescent alcohol use is the need to fit in with peers. Social acceptance is a high priority for teenagers, so they will do whatever it takes to fit in, including drinking too much. Just as with adults, social drinking among teenagers will lead to much bigger issues if it gets out of hand. Talk to teenagers about the dangers of drinking. Be open and have honest conversations. If you suspect your adolescent teenager may have a substance abuse problem, talk to them about the benefits of Alcohol rehabs in Dallas, Texas. Some people have a hard time being honest with themselves about the realities of alcohol addiction. If you feel you may have a drinking problem but aren’t sure, there are four screening questions that you can honestly ask yourself. The acronym for these questions is CAGE. Cut Down – Have you ever felt that you need to cut down on your drinking? Annoying people- Have you ever felt annoyed by people criticizing your drinking? Guilty feelings – Have you ever felt bad or guilty about drinking? 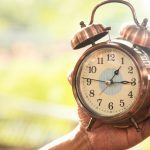 Early morning drinking – Have you ever had a drink first thing in the morning to calm your nerves or help with a hangover? Do you continue to drink even though it leads to anxious feelings or depression or complicates another health problem? Have you lost interest in other hobbies since starting to drink more? Have you had trouble with the law due to alcohol? Have you ever been in a situation where you ended up drinking more than you intended? If you don’t drink, do you have symptoms of alcohol withdrawal? Again, if you answer these questions honestly and the answers are yes, it is an indication of an alcohol abuse problem. Accepting and recognizing that you have a problem is the first step on the road to recovery. After you realize that you are more than just a casual drinker, it is time to reach out to a reputable Alcohol Rehab in Texas. 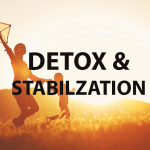 They offer 30-day or 90-day treatment programs that get you the support you need, whether through offering medical professionals for detox, group therapy sessions, or individual counseling sessions that can help you overcome your alcohol addiction. Experts in the field of alcohol addiction are there to walk you through each step of the program so that you can begin the recovery journey. What started as a casual drink every now and then has now spiraled out of control into a full-blown alcohol addiction problem. If this is you or someone you love, the time is now to take your life back. There’s no better time than the present. Recognize the signs and symptoms, admit you have a problem, and seek the necessary treatment you need to overcome alcohol addiction. These are the first steps you must take on the road to recovery. Summer Sky Inpatient Alcohol Rehab in Texas has years of experience helping thousands of people overcome addiction. Call today to find out more information and begin living a healthier, sober lifestyle. Today is the day to turn over a new leaf and start your journey to overcoming alcohol addiction.